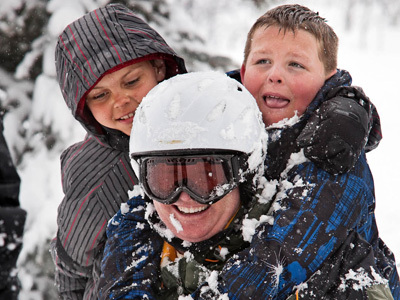 Steamboat is consistently ranked as one of the top family ski destinations in the USA. Families fall in love with the real town atmosphere as well as all that the ski mountain offers. Our homes are the ideal accommodation for families. There's lots of space for the kids to play and still quiet areas for the parents and grandparents to relax. Our guests tell us that our catered chalets have provided some of the best family vacation experiences ever. It's a hassle-free vacation package that will allow you more time together to ski and enjoy yourselves. All our luxury rentals offer you the comfort and feel of a family home. Everybody in your group can enjoy the privacy of their own bedroom. There are great living areas for you to gather with your group around the fireplace. Rec rooms are loaded with pool tables, video games, board games or a foosball table so you can play together indoors. Dining areas invite you to share meals together over the dinner table. Things that hotel rooms just don’t offer. Most of our homes are equipped with gourmet kitchen ranges that will reveal the chef in you or become the arena for one of our professional chefs if you booked a luxury catered chalet experience with us. Our chalets, lodges and residences will make you feel at home in Steamboat! Still close to its ranching roots, Steamboat remains linked to a Western tradition that sets it apart from every other ski resort in the world. 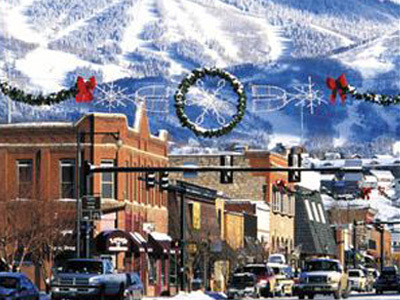 In Steamboat you will find a lively community of locals and ever-returning visitors that keep tradition alive. Few other resort towns can match this much history, heritage and character. Discover for yourself why Steamboat continues to hold a special place in the hearts of so many people! Travel to the mountains can be challenging, but getting to Steamboat is easy! Steamboat has the closest major airport of any ski resort in Colorado or Utah, located just 22 miles away in Hayden. Non-stop jet flights from numerous major North American cities, and convenient connections nation-wide make Steamboat the most accessible resort in the Rockies. 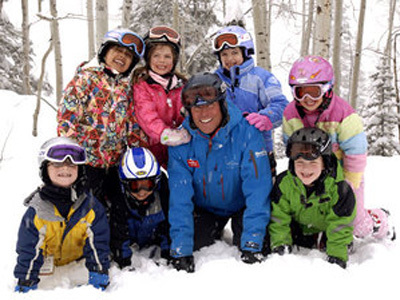 Steamboat's Kids Ski Free and Grandkids Ski Free programs enable children 12 years of age and under to ski free the same number of days as their parents/grandparents when parents/grandparents purchase a 5-or-more day adult lift ticket at regular prices. With our preferred ski rental outfitters, Christy Sports and Black Tie Ski Rentals , a similar program operates where one kid aged 12 or under rents free with each five-day parental adult equipment rental. Steamboat's kids programs are recognized as some of the top programs in the U.S. Programs are offered for all ages with on-snow instruction starting at age 2!